Published on December 5, 2014 in Branding, Case Study, Do Stuff, Fun, Innovation and Creativity, Retail Strategies and Sales. 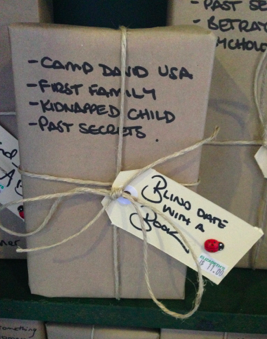 0 Comments Tags: Blind Date Books, Elizabeth's Bookshop, Retail Strategy: bookstore. This is such a great concept I saw at Elizabeth’s Bookstore in Sydney!